The year is 1703 GE. A strange planet, forged out of nine floating shard worlds 7926 years ago by a powerful magus known only as the Faceless Worldshaper now travels calmly around the sun, tick tock. Once, he united the men of Midgard and Swartalbaheim against the Albenmannen, Jötunmen, and the Old Gods, beating them into submission and remaking their realms into this world. They call it Aqualon; such has been its name, no matter how many times the Great Clockwork that runs behind all things has destroyed and then cast it into new and strange forms. 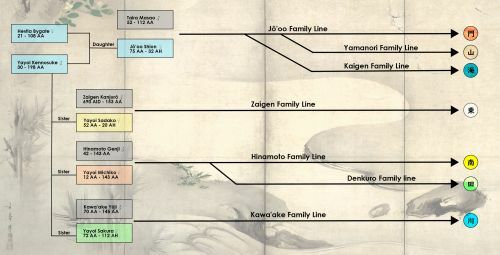 Today, seventeen centuries since the Great War of the Age of Heroes, when the Old Gods rose up once more in vain, the world has become prosperous: powerful magocracies in the Middle Lands are going through a magical industrial revolution and rich tapestries of cultures flourish in the Yamato Mountain Range and the Seventeen Yonder Islands. These lie in the Corsic Ocean of the Ocean Belt beyond the 150 kilometer band of iron, the Iron Belt, that rings the planet around its equator. And isolated from the rest: two technocracies so far beyond them that they could be thought to live in a world of their own. These are divided by their opposing views on integrating magic and technology, yet united in their quest for knowledge. But who would have thought that none of these would start the next great war? Fantasy, Science Fantasy, and Science Fiction; Aqualon intersects all parts of this spectrum, presenting itself as a world both rich in magic and advanced technology if you know where to look. But while the most powerful mages will boast of their might, the most advanced technocracies hide their superiority behind cautious isolation. A strange planet, forged out of nine floating asteroid worlds 7923 years ago by a powerful magus known only as the Faceless World Shaper now travels calmly around the sun. Tick tock. Long ago, he united the men of Midgard and Swartalbaheim against the Albenmannen, Jötunmen, and the Old Gods, beating them into submission and remaking the Old World into this new one with the help of Yilik the Wise and the five Grand Sages, who had opposed the Old Gods even before his arrival. Today, seventeen centuries since the Great War of the Age of Heroes when the Old Gods rose up once more in vain, the world has become prosperous: powerful magocracies in the Middle Lands are going through a magical industrial revolution and rich tapestries of cultures flourish in the Yamato Mountain Range and the Seventeen Yonder Islands. These lie in the Corsic Ocean of the Ocean Belt beyond the 150 kilometer band of iron, the Iron Belt, which rings the planet around its equator. And isolated from the rest: two technocracies so far beyond them that they could be thought to live in a world of their own. These are divided by their opposing views on integrating magic and technology, yet united in their quest for knowledge. But who would have thought that none of these would start the next great war? This great war is the Glimmer War, and it is being set up in my first novel, "Aqualon, Rise of the Broken". Learn more about this world by delving into the many encyclopedia-like articles about its cultures, places, magic, and technology, or dive right into the novel and a plethora of exiting short stories, all here on this site! A dark wind is blowing over the Middle Lands. The Council of Five is broken, and all accross the world old powers are rising up out of legend, lured by the threat of a strange yellow glimmer that corrupts the hearts of men and greedily grasps for the great clockwork that runs behind all things. Atlas Muundir, once the avatar of the world's waters, is cast out, broken, and forced to fight for a world he no longer feels part of, thrust on by new friends and old obligations. Meanwhile, all around Aqualon old warriors, young prodigies, and ancient orders rouse, sensing the scent of war around them. They come from amongst the broken, legends, and forgotten gods; and mages, technocrats and Null suddenly find age old enmities forgotten, when the very nature of their existence is at risk. It is easy to fight with your life on the line when you know your soul will be saved. But what would you do if it was the other way around? Facing the Keeper of Earth just as Fulgrath prepares to jump away, Balsibart finds herself in a fight more difficult than she had anticipated. To defeat the mighty Lord Sameth, she brings one of the souls within her back into the real world: Johna Jericho, a famous Black Priest of the Church of Pure souls, who spent his life hunting animancers and pirates. But who is Johna really, and how did he end up in Balsibart's conclave, even though Balsibart is the sworn enemy of the Church? And what will he do, once he is returned to the world of Aqualon? Thadeus Fletcher is the maverick reporter that won't hesitate to go above and beyond for you, the avid reader of his travel column for the HJT Gazette! Follow his many newspaper articles on his travels to the Great Land where the oldest and most powerful nations of the world reside, filled with adventure, discovery, and a touch of magic. Too prosaic for you? Perhaps you prefer easy-to-digest chunks of information. Well, Timothy Jargon, technocrat and collector of stories from the mighty Moving City, Miyako Fluxum, has got you covered! Delve into his first two anthologies of tiny facts about the world of Aqualon, gathered during conversations with interesting people and readings of obscure tomes from all over the planet. And lastly, if you enjoy accounts of ancient times, perhaps you'd like to start all the way back before the world was reshaped? Instead of learning about the Aqualon of today first, instead explore what people believed in when the world was split into nine asteroid worlds: the Nine Realms. Learn about elemental titans and Old Gods that were still brand new way back when. Don't know where to start? Then click the image above! I have started a number of still continuing article series that can help you find your way into the world of Aqualon. These articles might be just the thing to start your journey. This was such an enjoyable read! I feel like I have a complete understanding of her motives, personality, and choices that she has made. The details tying her involvement in your world were extremely well woven throughout this whole article. My favorite part of this article is the way you described her mental characteristics in paragraph form that explained more in-depth the series of events that occurred in Hestia's life. I absolutely love the editing of the images in this entire article and how they were made to look like this was an entire chapter in an encyclopedia. This is incredibly detailed and leaves no questions to be asked, and I am honestly so pleased with how it's written with so much care. I especially like how ingrained the moths of Yamato are in the culture. The song is beautiful, and I can't even begin to describe everything I liked about it, but these things were the ones that stood out the most to me. You've put so much love into this article!! I love the poetic prose in these scenes! Gorgeous and I'm really enjoying the story. Also love the footnotes scattered throughout that give more information. Check out what other people have been saying about Aqualon; here is a selection of comments on articles published in this world. Facts about Aqualon and little stories attached to them. A famous Aqualonian book and theater play re-envisioning the Vinclav myth in the style of Goethe's Faust. Drahoslav, one of the Grand Sages of yore, wrote this ballad to describe not only certain experiences in his life, but the shape his mind space had taken during his meditation. It is common for people that seek out their own soulscape to envision their mind space as a great vast emptiness, containing the Great Gate somewhere within. Saxum is the largest written collection of Nordic myths, legends, stories, poems, and songs that has ever been printed. It gained quite some popularity in the Great Land during the current Age of Gears and Elements, inspiring much interest in the culture of the northern tribes. 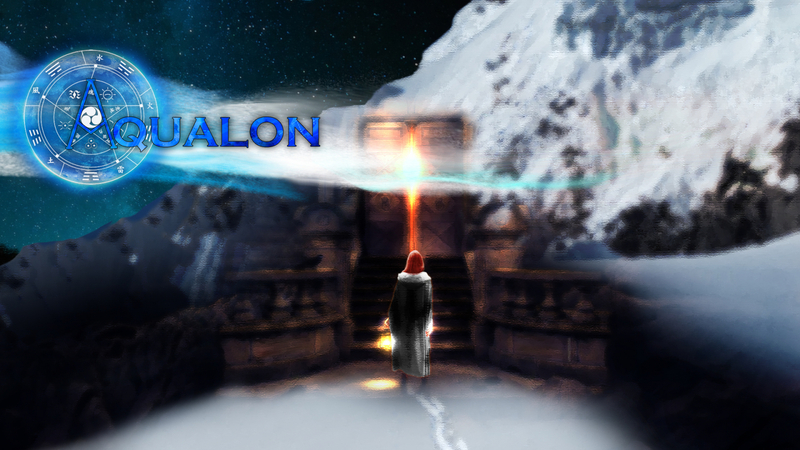 Click above to read numerous short stories, poems, and tiny tales set in the world of Aqualon! A timeline of Aqualon's major history after the planet had been forged out of the Nine Realms by the Faceless World-Shaper. This titanic 10000 x 6045 pixel world map shows the basic layout of Aqualon, most of its parts fogged to indicate it has not been completed yet. But as the maps of this world multiply, so will this map grow ever more complete. Which Element is Your Soul Attuned to? Here lies the potentially largest part of this World Anvil page: The table of contents listing the many articles I have written about the world of Aqualon! Browse in wonder, dear reader, and learn everything about this intricate world, be it about the spiritualistic Glade of Druith where Kaltani Schamani use their animancy magic to lead nomadic tribes across the fertile planes, or about the two laser interferometers (LIST and LINT) built by the technocrats of Borealis to detect gravitational waves. I work many hours every day on Aqualon if I can at all manage to spare them, and being able to make the time is only going to become more difficult in the coming years, unless people like you help me make the project self-sustaining. That being said, supporting Aqualon for as little as 1$ a month can already make a huge difference and there are amazing rewards in it for you as well! Though much of my content is open to the public, I have many cool secrets tucked away for my patrons. Get access to exclusive blog posts on my Patreon page, early access to article and access to altogether exclusive articles. The same goes for my podcast series where I read short stories and lore articles from Aqualon: get to hear me read you a story before anyone else! And for more generous supporters, there are downloads for ebooks, podcast audio files, music, and access to extra secret author's audio commentary on articles! I am not looking to get rich off of Aqualon, but emotionally, this world is my child, and I want to take care of it and see it grow as much as possible. I don't need you to read my stories, my stories need you to read my stories. If I could, I would write stories every day all day for the rest of my life. Help me make this a reality. And if you can't afford or don't want to help out financially: I still very much appreciate you reading my work. Thank you! Get download links for my "Let Me Read You" and "Author's Commentary" mp3s so you can listen to me on the go. To publish the amount of articles I publish in the high standard of quality I try to maintain and churn out new chapters for the novels and short stories I write, I currently have to make great personal and professional sacrifices. While I am glad to make those for my world and my dear readers, the day may come where I will no longer be able to spend as much time on writing. Supporting Aqualon with even just one dollar a month will not only help towards my goal of being financially stable enough to make creative writing my main profession but also unlock cool rewards for you such as access to more stories and articles. Aqualon designs on Printerstudio are available on a variety of products and are shipped world wide. If you are interested in alternate sizes or want certain designs on certain types of products, contact me via email: Kentai92[at]gmail.com or on Discord. If you are interested in Aqualon merchandise, the Aqualon Discord Server is also a great place to stay up to date on sales and coupons. 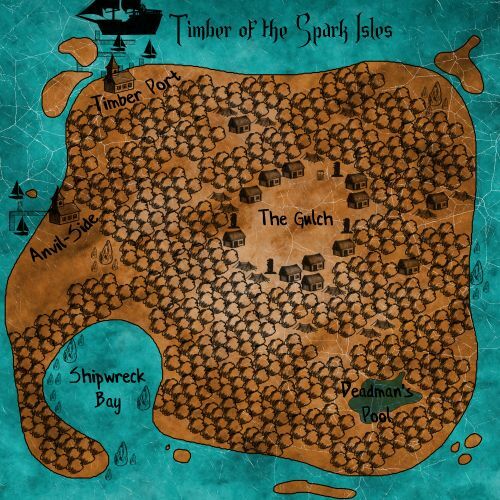 As I work on the world of Aqualon, I regularly come up with cool new in-world designs and maps, and some of them I try to make available on merchandise to further support this project. While sporadic, contributions via merchandise are great for reinvesting into equipment and in prizes for the writing and trivia contests I regularly hold for my readers. The Aqualon Builders Guild and Challenges YOU can Participate in! Become part of the Aqualon Builders Guild! Support this world, participate in Writing challenges, and earn awesome rewards! I would like to express my gratitude to these people and give credit to those that have provided excellent resources for world building and design. If you like this world, why not check out these amazing partner worlds? 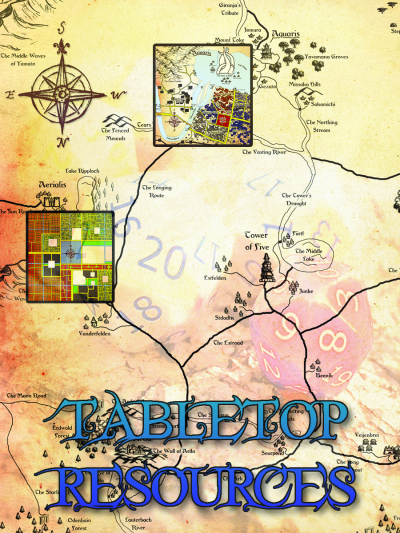 Adventures, Campaigns, Character Sheets, Statblocks, and anything more your heart may desire, if you wish to role play in the lands of Aqualon. 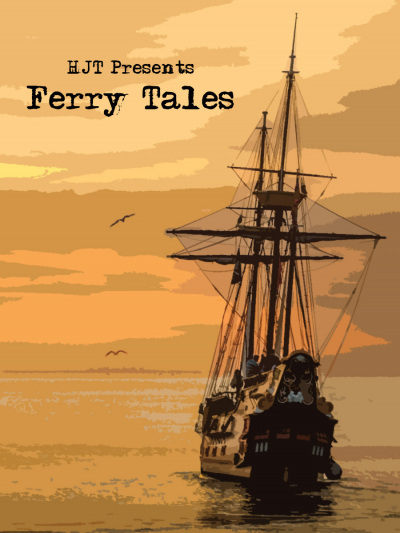 A collection of short stories about the adventures of ship mages for hire. On a tiny island in the Corsic Ocean named Graanshoof all is not well. Help build the many cities and monuments of Aqualon and become a part of the world's history!